Texas SkyScreamer located at Six Flags Over Texas. SkyScreamer rides are quite popular around the Six Flags chain. In fact, as of 2017, there are 10 different models located at St. Louis, Discovery Kingdom, La Ronde, Great Adventure, Six Flags Over Georgia, Six Flags Over Texas, New England, Mexico, and Six Flags America. SkyScreamer installations began in 2011 at Six Flags parks and Fiesta Texas received their model on the second wave of installations in 2012. 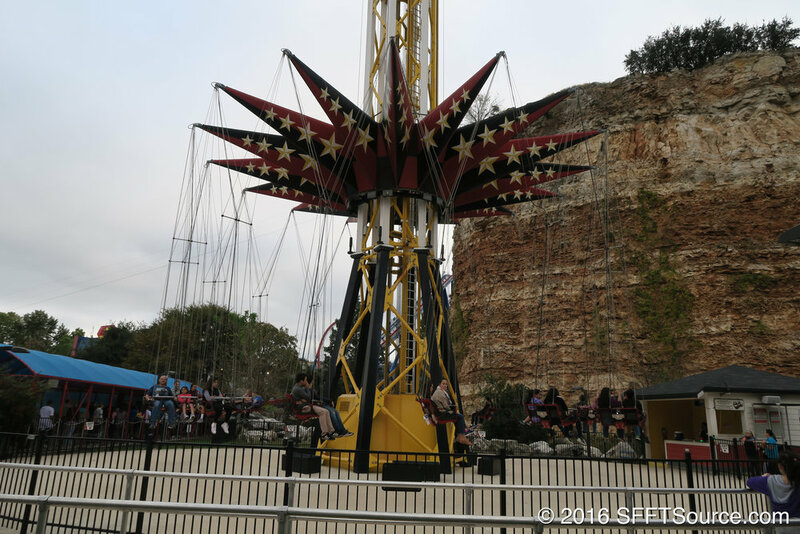 SkyScreamer is tall enough to peak over the quarry wall, giving guests a view of the park and surrounding areas of San Antonio. The attraction is perfect for many types of thrill-seekers. Speeds of 40 miles per hour, a tight radius of 98 feet when in motion, and its close proximity to the quarry wall keep families and high-thrill enthusiasts entertained each time they board SkyScreamer.